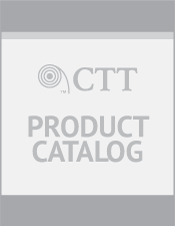 CTT Amplidyne Jar Accelerator Tool | Coil Tubing Technology, Inc. The CTT Amplidyne is a jar accelerator tool, sometimes called a jar intensifier tool, used to store the energy released by the CTT Hevi Hitter H/H Jar through a fluid spring. Upon release of the energy, the impact of the CTT H/H Jar is intensified and magnified. This jar intensifier develops reactive energy from the overpull or setdown on the H/H Jar. The energy is then transferred into a fluid spring and valve system that accelerates the velocity enhancing by four times the over pull or setdown weight as impact force at the hammer and anvil. The CTT Amplidyne jar accelerator tool is compact in length to maintain a short fishing or drilling string on coiled tubing, yet is designed to maximize the velocity and impact to the hammer and anvil at the jar release. 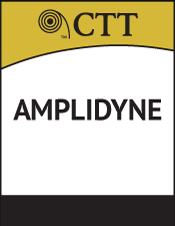 The CTT Amplidyne jar intensifier has a large I.D. to permit passage of drop balls which permits placement of the tool at any position in the work string.